your bank will make sure to debit your biggest transaction of the day first — even if it was actually the last one you made that day. That way your account goes to zero faster and every subsequent debit triggers another fee. Ka-ching! 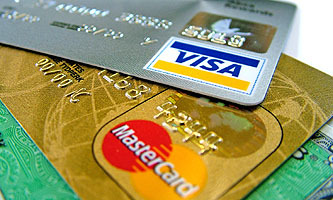 Sen. Christopher J. Dodd (D-Conn.) plans to introduce legislation requiring banks to get permission from customers, rather than allowing overdrafts automatically. If customers decline and then try to overspend, the transaction would be rejected. A similar bill is pending in the House. Well, good for Chris Dodd. I hope his legislation passes. But seriously, ask yourself this: what does it say about the power of the finance lobby in America that this was ever legal in the first place? I mean, it’s not even a close call. It’s just flatly outrageous. It’s outrageous that banks should be allowed to charge fees that amount to 1000% interest rates on a short-term loan; it’s outrageous that they should be allowed to reorder your debits to make you pay more of these fees than you should; it’s outrageous that they should be allowed to charge multiple fees per day in the first place, since they’re essentially just making a single loan; and it’s outrageous that they should be able to do this whether you want them to or not. Let’s say that again: They can force you to accept a loan at 1000% interest whether you want it or not. And no one before now has been able to stop them. Think about that the next you see one of those happy happy happy Visa debit card commercials where they’re exhorting you to just swipe that card for every purchase you make without giving it a second thought. There’s a reason for that. And there’s a reason they can get away with it.